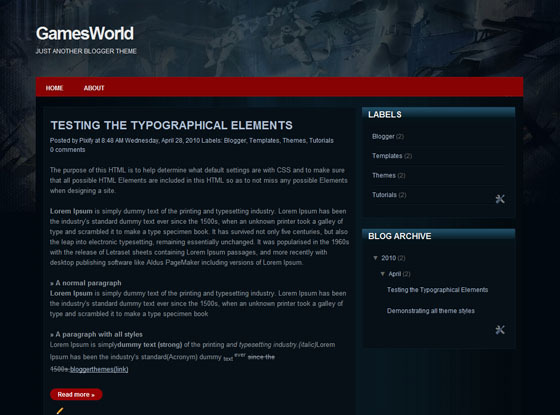 GamesWorld is a free blogger theme suitable for any niche especially for games, online games or entertainment sites or blogs. This is a very nice template. I have downloaded it. However, I am having trouble with the header. When I add a page you can’t see the new page in the header. Can anyone help me with this? i like this template and already use it. But i wanna write karen font on this page. i can write but i can read only in my computer other computer can’t read my page. so who can help me? please!!! !